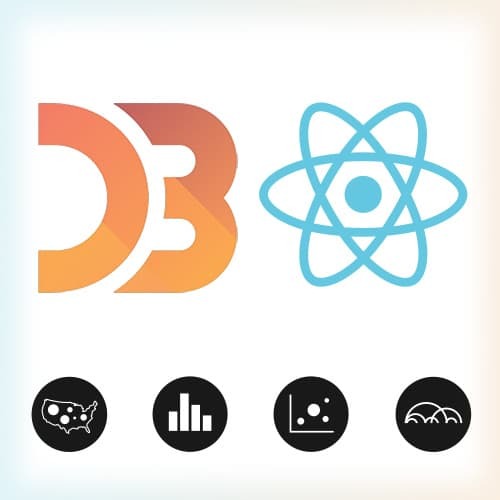 Learn to design simple visualizations with D3.js and React! In this course, follow along with Shirley Wu as she goes through fundamental visualization theories and shows how to apply them to different chart types. Plus, Shirley demonstrates the best practices on how to use D3.js to generate the data for these visualizations, and how to use React to render them. Shirley outlines the agenda for the course. Data types are introduced, as well as common charts and what data is best represented with them. Shirley explains what a SVG is, the elements that it consists of, and its coordinate system. Shirley introduces D3, and why D3's API may seem so intimidating. The scales and shapes modules are covered in detail in this section, because they allow the user to translate raw data to SVG shapes. A linear scale example is discussed, and other scales commonly used are covered. Shirley walks through the Creating Line Charts Exercise. Shirley walks through the solution to the Radial Chart Exercise, and introduces color at the end. Shirley live codes how to implement a radial chart within a React project. A different way of implementing the SVG in the React project using componentDidUpdate()/componentDidMount() is also introduced. Shirley discusses the last two portions of the API: the finishing touches, and interactions. The functions within D3 that need access to the DOM are covered, and words of caution are given when interating with the DOM. Shirley introduces canvas for working with large datasets in data visualizations.